Dali designed these sensational lips in 1949 using Mae West as his inspiration. 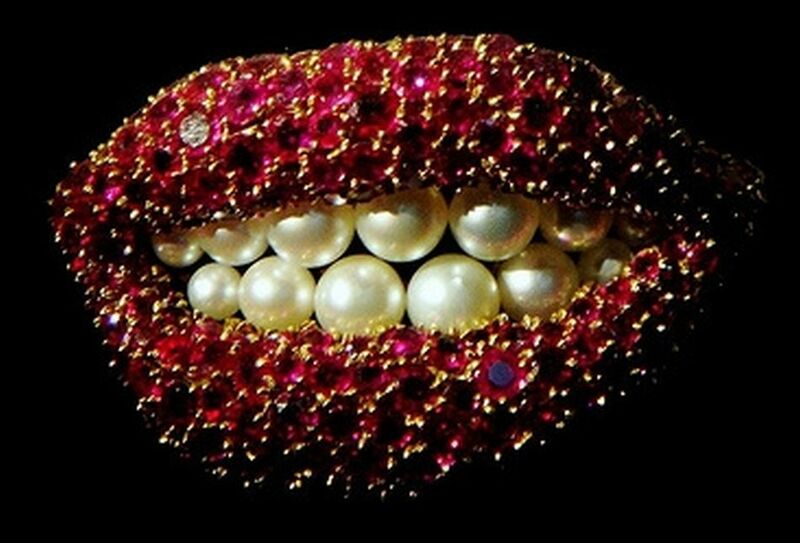 Dalí-Poetic and surreal,these ruby lips are presented with Austrian crystals in ruby red and faux white pearls set in gold plated brass. Joint and catch closure.